'Coastal Fringes Guest House' is the ideal place to use as a base, to tour the jewel box of delights in North Devon. 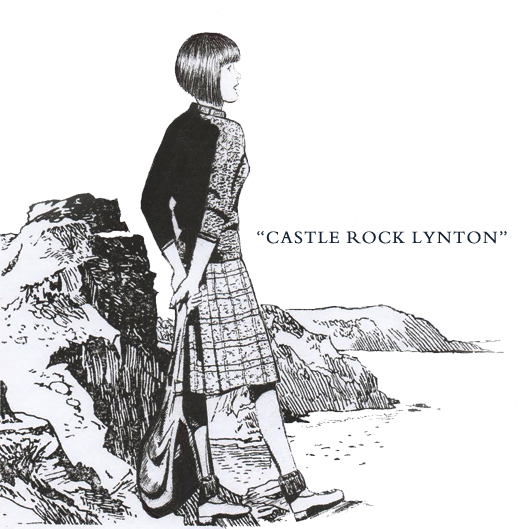 The famous twin villages of Lynton and Lynmouth, so beloved by writers and poets, Shelley, Coleridge and Southey. Known as England's Little Switzerland, is just 30 minutes away. 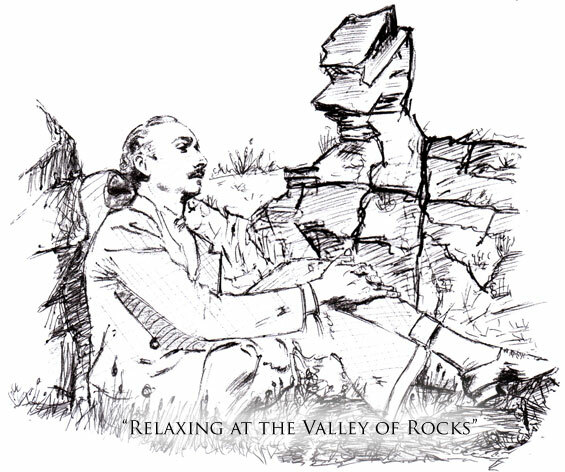 It has the famous natural ampitheatre of the Valley of Rocks, Watersmeet and the world famous Cliff Railway. In between Ilfracombe and Lynton and Lynmouth there are the beauty spots of Woody Bay, Heddon's Mouth, hunters Inn and Lynton and Barnstaple Railway. The historic market town of Barnstaple with it's famous pannier market, it's museums and an excellent selection of well known high street shops, is but a few minutes away by motor car or frequent bus service. From Barnstaple you can take the scenic Tarka Line Railway to visit the Cathedral City of Exeter. Charles Kingsley's atmospheric 'Little White Town', of Bideford, with it's maritime history is within eay reach, as is R.H.S Rosemoor Gardens, Marwood Gardens, and Clovelly. We are also very handy for the Exmoor national park and Lorna Doone Country - the setting for R.D. Blackmore's famous novel. The Exmoor National Park is renowned for its high rolling moorlands where red deer and wild Exmoor ponies graze. Many of the quaint villages and hamlets preserve their old world charm. 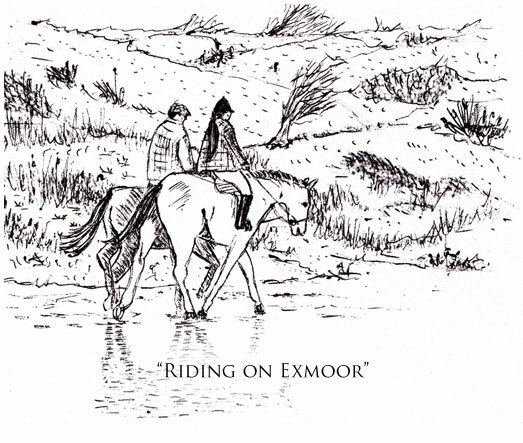 It is possible to take to the saddle and explore Exmoor by horse at many riding stables in the area. For railway enthusiasts there is the reawakening of the Lynton and Barnstaple Railway at Woody bay Station, the West Somerset Railway with it's preserved standard gauge locomotives and idyllic country stations. 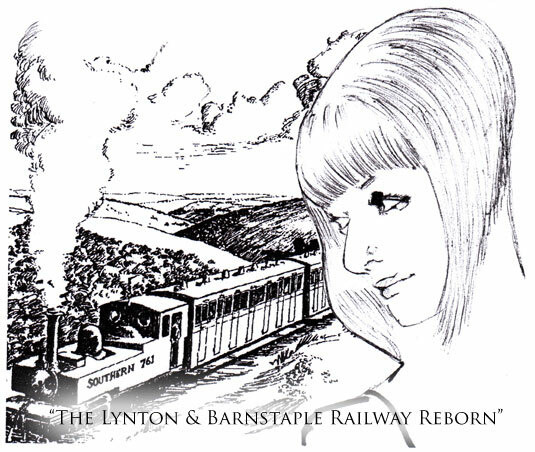 The water powered Lynton and Lynmouth cliff railway and The Lyn Model Railway, a large L.N.E.R. layout, in Lynmouth. A magnificent 3 mile long sandy beach, with it's associated water sports is available at nearby Woolacombe. The whole area is a walkers paradise. There are also many cycle routes and scenic drives for motorists. We invite you to discover for yourself the scenery, and natural beauty that so captivated the likes of George Eliot and Beatrice Potter.